On March 8, 2017, Jonathan Fanton introduced a panel discussion on “Ethics and the Global War on Terror: Can Conflicts with Non-State Actors Be Fought in a Just Way?” The panel was chaired by Allen S. Weiner; and the panel consisted of Gabriella Blum, Neta C. Crawford, and Jennifer Leaning. The discussion was streamed to groups of Academy members and other distinguished participants gathered in Washington, D.C., Stanford University, and Notre Dame University, in addition to cadets and faculty at West Point, the U.S. Air Force Academy, and the U.S. Naval Postgraduate School. When the panel concluded its presentations, members in each location held their own conversations. The meeting served as the 2017 Distinguished Morton L. Mandel Public Lecture. Good evening. It is my pleasure to welcome you and to call to order the 2052nd Stated Meeting of the American Academy of Arts and Sciences. This is also one of our Morton L. Mandel Public Lectures, established through a donation from the Jack, Joseph, and Morton Mandel Foundation based in Cleveland, Ohio. It is part of the Morton L. Mandel Program for Civic Discourse and Membership Engagement, which aims to strengthen the bonds of community among the Academy’s 5,500 members as we stimulate discussion of important issues with the general public. We are enormously grateful to Mort for his generosity. Tonight’s topic is particularly important and timely; it also raises complex legal, ethical, and political questions. How should military fight against terrorist groups? Should these groups be protected under the Geneva Convention like soldiers of regular armies, or should they instead be treated differently? What are the moral boundaries and constraints that should not be violated in an all-out war against terror? It was September 20, 2001 when President George W. Bush used the term “war on terror” for the first time. Nine days earlier, the United States had been subjected to the largest and bloodiest terrorist attack ever carried out on its own soil. The term “war on terror” was meant to signify an enduring, global campaign to eradicate terrorism everywhere. But the term itself also produced significant legal and political consequences. The use of the word “war” designated the American counterterrorist strategy no longer as a law enforcement operation but as a war with the scale and consequences that any other war would carry. Additionally, because terrorism is a global phenomenon, this meant a serious U.S. military commitment around the world to fight a threat that was borderless in nature. This “war on terror” has differed from more conventional wars in one very specific instance: it is primarily fought against individuals and non-state organizations. This war is asymmetric in nature, and the way it has been fought thus far has had a significant impact on civilians. Although the Obama Administration stopped using the term in 2014, the war on terror is ongoing with drones, autonomous weapons, and the deployment of specialized troops from Syria to Yemen, from Afghanistan to Iraq, and beyond. The panel of experts we have gathered here today will present different dimensions of the war on terror and address this overarching question: can conflicts with non-state actors be fought in a just way? If so, how? Tonight’s program draws upon two Academy projects: the first, entitled New Dilemmas in Ethics, Technology and War under the leadership of Professor Scott Sagan of Stanford University, explores how the changing character of warfare and the deployment of new military technologies affects the moral and legal behavior of states in war. The second, on Civil Wars, Violence and International Responses chaired by Ambassador Karl Eikenberry, former U.S. ambassador to Afghanistan, and Professor Steve Krasner of Stanford University, explores the lessons learned from international interventions in past civil wars and seeks to articulate a new framework for international engagement for conflict prevention. Alongside special issues of Daedalus on these two subjects, we have hosted a wide range of briefings, talks, and workshops with international organizations including NATO, the EU, the UNHCR, and the UN Department of Political Affairs; and we continue to engage with U.S. military academies as well as government agencies. We should look at these problems today with an historical perspective and remind ourselves that we have been here before. Dilemmas of ethics, cooperation, war, and peace have challenged soldiers, philosophers, politicians, and scholars for many centuries. The goal of global peace and a more advanced system of global cooperation seems, today, to be elusive – but it remains imperative and we should commit to it. Dr. Fanton served as Interim Director of the Roosevelt House Public Policy Institute at Hunter College from 2009 to 2014. He previously was President of The John D. and Catherine T. MacArthur Foundation from 1999 to 2009 and for 17 years was President of The New School for Social Research. Earlier, he was Vice President of Planning at The University of Chicago. Dr. Fanton holds a Ph.D. in American History from Yale University, where he taught and was Special Assistant to President Kingman Brewster. He is the author of Foundations and Civil Society, volumes I and II (2008), and The University and Civil Society, volumes I and II (1995, 2002). 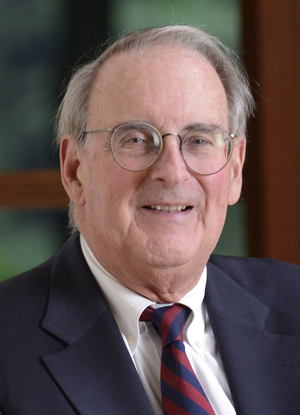 As President of the American Academy, Dr. Fanton directs one of the nation’s oldest honorary societies and independent policy research centers. Founded in 1780, the Academy convenes leaders from academia, business, and government to address present and future challenges for the nation and the world.